I really like The Kills. And I was really excited when I saw that they were playing Field Trip. They're definitely one of the bands that made me want to attend. I've only ever written one post about them, way back in November of 2011. And I know what you're wondering about now: how were they live? Well, true to their name, they killed. 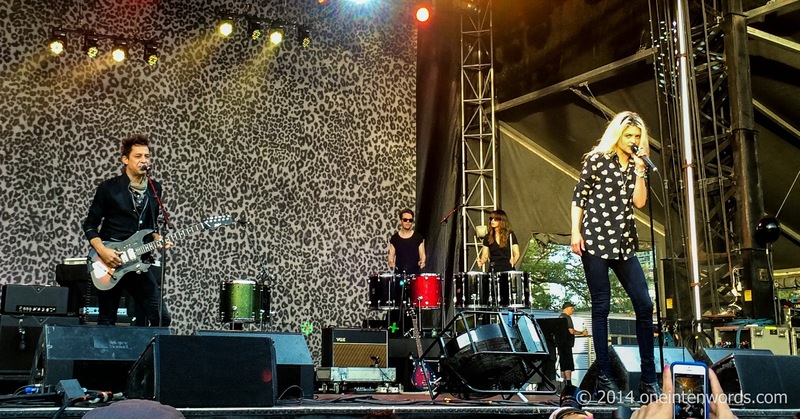 They had four drummers along with the core duo of Alison Mosshart and Jamie Hince. 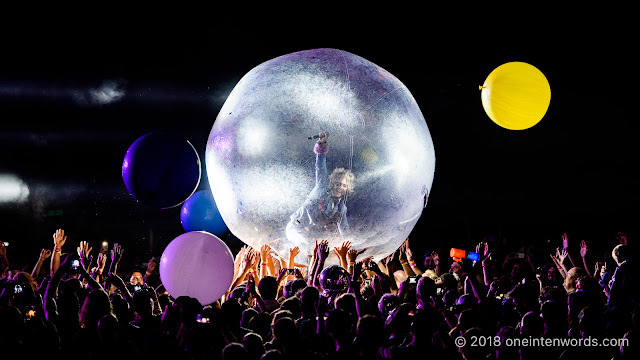 They pounded and wailed through a high energy setlist featuring tunes from Blood Pressures, Midnight Boom, No Wow and Keep On Your Mean Side. These guys know how to pull in the festival sized audience and hold each of us in rapt attention. Great show. Alas, we didn't get any sneak previews on the new album they're reportedly working on. Here are some of the show's personal highlights, in the order of the set.